What Can I Do When My Ear Hurts when I Yawn. You should consult your doctor immediately after you feel any pain in your ear after yawning. This is because the pain in the ear after yawning may be caused by many reasons. A specialist or a doctor will be required to take a examination on the affected ear to make a diagnosis. Discharge from the ear and fever are the common symptoms for an aching ear. Flu infection or a cold may cause also cause an earache. The pain may be temporary, but if it is persistent and severe, you should consult with your doctor immediately for the right diagnosis and treatment. Below are the main causes of an earache after yawning. These tiny tubes connect the middle ear to the back of the throat. Eustachian tubes help in maintaining proper air pressure levels inside the ears and draining excess fluid from the ear. Eustachian tubes open briefly, when you yawn to let the air in the middle ear hence equalizing the air pressure inside the ears to atmospheric pressure.Eustachian tubes may block due to cold, allergies or infections. This blockage leads to pressure build-up in the middle ear. Due to the pressure, increase causes pain in the ear especially when you yawn. Temporomandibular Joint is the most used joint in our body during eating, swallowing yawning or talking. The joint is located just below the ear and it connects the lower jawbone to the skull. Temporomandibular Joints are prone to medical problems which may or may not require surgery. Temporomandibular Joint Syndrome or Inflammation of the Temporomandibular joint causes pain in the ear. Since the joint connects the lower part and the upper part of the jaw and a malfunction of the joint occur, you will experience pain. The pain may occur with popping noises of the feeling as if the jaw is stuck. There are many causes of TMJ to malfunction including; poor posture, impact injuries, stress, and poor grinding. As we earlier learn that the joint is very close to the ear, the pain is mostly felt in the ear. Sometimes the pain is mistaken for a headache. You can feel a severe and sudden pain when you yawn or talk. You should seek advice and a proper diagnosis from a trusted medical professional. The common symptoms of this condition are; pain in the ear, popping sounds on the movement of jaw joint or stuck jaw joints. It is short-lived, and therefore it goes away after a short period. It may be days or week but you are required to check with your doctor. If it persists or you have breath shortness, or you are vomiting bouts, or you feel pain in the chest when you have a cold. Cold Symptoms include throbbing pain inside the ear, general muscle ache, yellow or green mucus from the nose, difficulty when sleeping and fever. This refers to the infection of the middle ear, which mostly occur in children. The pain occurs suddenly, and it is very severe. Virus for flu or cold commonly causes the infection. Also allergies such as pollen or dust and secondary bacterial infections, which is most dangerous. The infection can be either chronic or acute. Chronic infection is a prolonged ear infection that repeatedly occurs over a period. Acute ear infection is short-lived and very painful. Otitis media. Ear infection symptoms include prolonged pain in the ear while lying down. Temporary hearing loss or difficulty hearing, discharging of white, bloody, or brown pus from the ear, lack of appetite and high fever. It refers to a condition caused by the difference between the pressure outside the ear and pressure inside the ear. Which causes injuries. The pressure outside the ear can be air or water that ear barotrauma experienced on scuba diving, swimming, skydiving, or airplane. The air molecules constantly move to balance inside ear pressure into the Eustachian Tubes (middle ear). If there it blockage in the tubes. Whether completely or partially, barotrauma will not occur. The causes of Ear Barotrauma can also be; blocked nose from a respiratory infection, allergies or cold, blocked Eustachian tube since birth, swollen throat, and sudden pressure change. Ear Barotrauma symptoms include the feeling fullness in the ear, slight or severe pain inside the ear, bleeding in the ear brought by the ruptured eardrum, and hearing loss or difficulty hearing. The eardrum is a very sensitive organ, and if pressed it may be very painful. A rupture in the eardrum can be caused by inserting objects into the ear, barotrauma, skull fracture, loud sounds, ear barotrauma and middle ear infection. Ruptured eardrum symptoms include ringing or popping noise inside the ear, unclear hearing, dizziness and severe pain inside the ear, redness or bruising and, discharging of white, bloody, or brown pus from the ear. Bacterial infection(1) in the tooth may cause pain in the ear. A tooth cavity, broken or chipped tooth may cause tooth decay. Which allows bacteria to infect the pulp. This infection spread to the bone that supports the tooth hence causing severe pain. This pain radiates along nerve pathway that supplies the tooth and the ear nerve. Hence causing the pain in the ear. Tooth infection Symptoms: sour taste, bad breath fever, swollen throat, swollen gun on infected tooth, difficulties when chewing, pain in the ear. Sinuses refer to the spaces filled with air, and they are located behind the forehead, cheeks, eyes, and nasal bones. When these openings are blocked, there is mucus build up(2) since the mucus is not properly drained. This makes it easy for germs to grow that leads to inflammation known as sinusitis. Fungus, bacteria or virus can cause this infection. Ears and sinuses are connected to the head. Hence when the sinus are blocked. The air pressure in the ear is affected, and hence the changes in the air pressure cause the pain inside the ear. Sinus infection symptoms include an earache, clogged nose, swollen glands of the neck prolonged cough at night, pain in the face, bad breath, and fever which is high in children. Exercising helps to treat blocked Eustachian tubes. Try performing simple exercises such as pinching your nose and then closing your mouth while you blow the air from your nose. Chewing gum will also help to open the blocked tubes. If the problem is severe, surgery can be used to open the blocked Eustachian tubes. The treatment depends mainly on the cause. For instance, if the pain is severe, muscle relaxants, as well as anti-inflammatory medicine, may be ideal. Additionally, orthodontic procedures may be used especially if the problem is. As a result grinding of teeth or mal-alignment. If you are feeling pain in your left ear, try sleeping on your right side and vice versa. Soak a soft cloth in warm water and massage your aching ear. 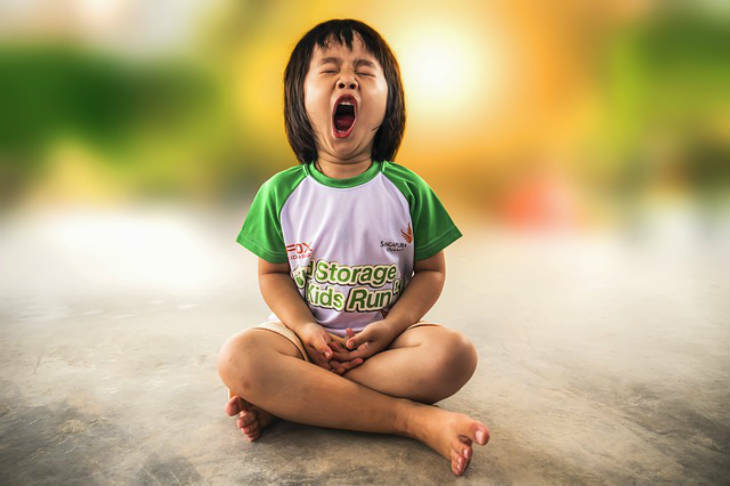 It is evident that there are many causes that can make you feel pain in the ears after yawning. If the pain is consistent, ensure you visit your doctor as soon as possible to diagnose the problem. Additionally, ensure you visit your pediatrician if your kid complains of the severe pain, as this could be a sign of ruptured eardrum.